We are assuming you already have a form set up. If you need to know how to do that, go here. Go to Gravity Forms and select a form to create feeds for. 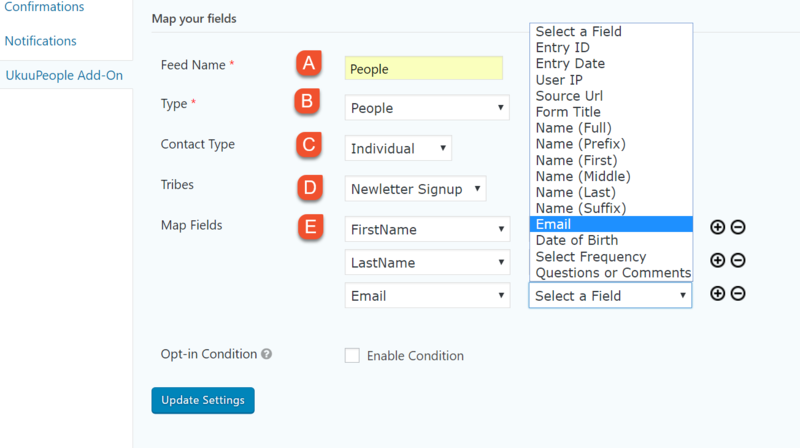 From the Form Settings select UkuuPeople Add-On > Add New. B. Select the feed type. For this, we need to choose People so we can map the contact information to your People files. C. Decide whether you want these new contacts to be entered as Individuals or Organizations. D. Choose a Tribe, if you want. E. Now we can map the First Name, Last Name, and Email fields we created in our Gravity Form (shown on right) with the corresponding UkuuPeople fields (on left). Opt-in Condition feature is discussed in a separate tutorial. When you click Update Settings your Gravity Form will be connected to UkuuPeople. Meaning, if someone enters their First Name, Last Name, and Email on your front-end form, their data will automatically be recorded in UkuuPeople as a new Human. Here's the contact record that's automatically created in UkuuPeople from this form. Add a feed to create a new TouchPoint every time someone signs up with your form. Using the Opt-in Condition on your feed. 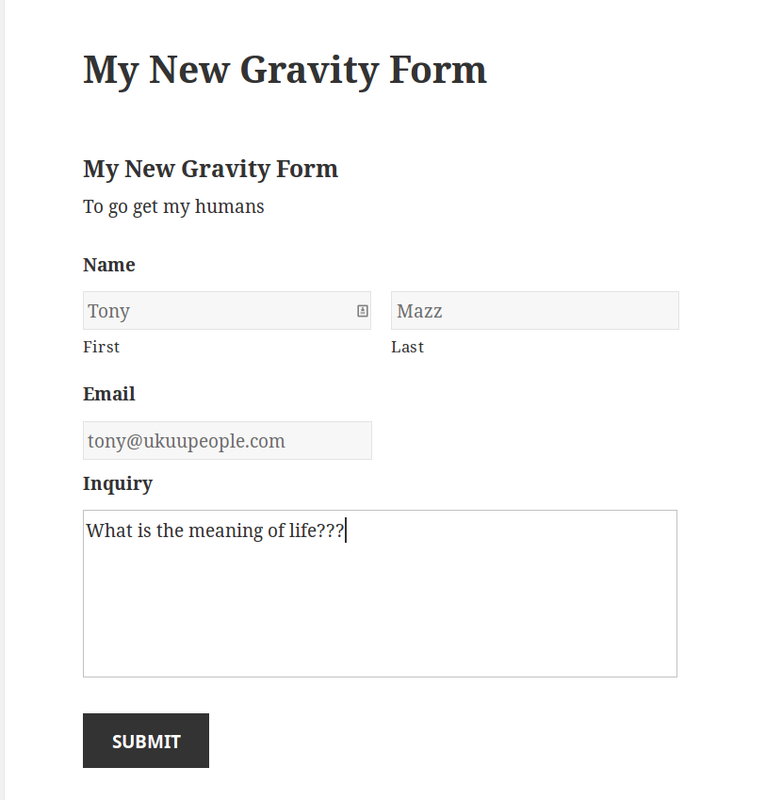 Building an email list with Gravity Forms, UkuuPeople, and MailChimp.